Councilmember Hans Riemer’s proposal to greatly ease restrictions on accessory dwelling units (ADUs) has a lot of flaws, as I have detailed in previous posts. The presentation of inaccurate information also undermines confidence that it has been well thought out. The county’s very poor enforcement of existing housing law further reduces trust. Moreover, recent legislation designed to promote ADU construction is just now going into effect. Fortunately, two easy fixes to Hans’s proposal can assure that it will better accomplish his stated goals of increasing smart-growth oriented affordable housing and minimize any negative effects on the county finances and residents. The bus network is also largely oriented towards these nodes, so people living in these areas will have maximal public transit access. Transit accessibility will also likely reduce the share of ADU residents who have cars, or at least a second car. This simple fix will assure that we continue to promote growth where smart growthers claim to want it—away from car dependent neighborhoods. Hans’s zoning text amendment (ZTA) proposes to allow ADUs larger than the current 1200 square foot maximum up to the one-half of the size of main home. This is a disastrous idea as it encourages the construction of larger, and therefore less affordable units. It also incentivizes the construction of bigger homes, which also runs counter to the idea of smart growth. While Hans has repeatedly spoken about his ZTA in terms of promoting “cottages” and as part of the “tiny house movement,” the legislation runs directly counter to this idea. According to The Tiny Life, a publication promoting tiny homes, tiny homes have a maximum of 400 square feet, and the average tiny home has just 186 square feet. Instead of increasing the size limit and encouraging the construction of less affordable ADUs, we should be reducing it to 750 square feet. This smaller size would assure that new ADUs would be truly fit within the affordable, smaller home ideal, instead of large second homes or apartments out of the range of people struggling to find housing. Additionally, it will minimize any negative impacts on neighborhoods and the county. Smaller homes mean it’s less likely that schools will face as substantial an additional burden as if we amp up the home size instead. Fewer people also usually means fewer cars. Existing units larger than 750 square feet would be grandfathered. The smaller size also reduces any additional hardscape, especially important since the chance of the county adopting more meaningful storm water control standards is about nil. Smaller homes cut down the added burden on existing aging infrastructure not to mention on dumping water into neighboring basements. These changes to Hans’s ZTA would turn it from a bill that undermines affordable housing by incentivizing big into one that would encourage the building of smaller, more affordable units in transit-accessible areas. It would retain the proposed elimination on the construction of an ADU in close proximity to another one, allowing for substantially more construction in zones near transit. 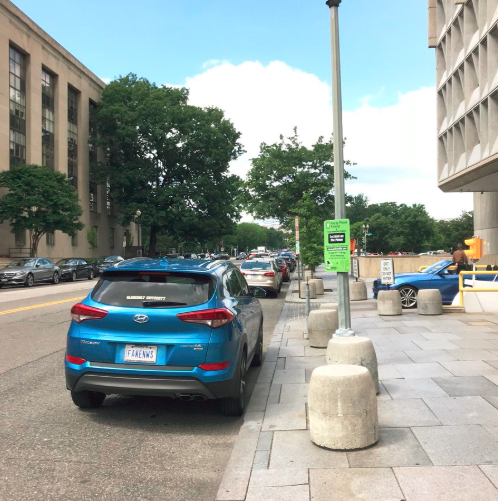 As bill proponents claim loudly that they are promoting small development and favor smart growth, adopting these amendments to gather community support ought to be easy. A special exception process could be included to accommodate unusual circumstances that require more space or location away from transit. But any such process should require real scrutiny and difficulty in order to keep the focus on affordable. The bottom line is that adopting these changes would turn the bill into one truly focused on transit-oriented affordable housing and a genuine win for Hans. On the other hand, if self-proclaimed proponents of affordable housing continue to argue for larger rather than smaller units, it will reveal plainly that they are simply interested in promoting development rather than affordable and that this is really an effort to undermine recently adopted zoning codes and Master Plans. Even if a reply on twitter isn’t quite the same as a publicly-funded email blast, this is the first time I’ve seen Hans correct the record, so that’s a positive step. 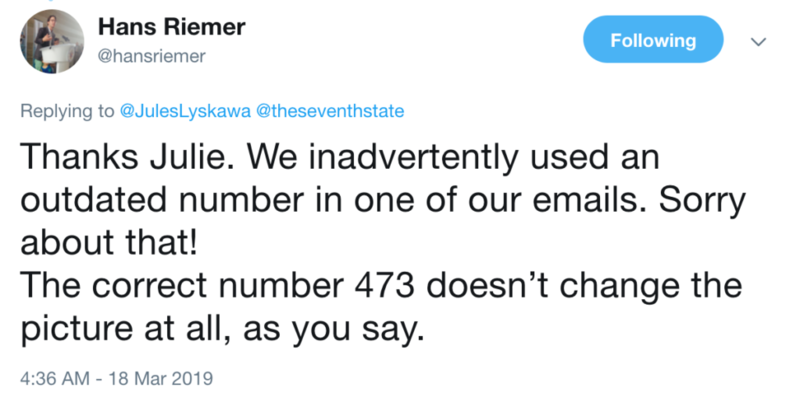 Except the inaccurate 133 number has been bandied about and propagated a lot, including by Hans at his own forum on ADUs, if memory serves, and without correction by either Casey Anderson or Lisa Govoni from Planning at the meeting. Additionally, Hans continues to underestimate the number of ADUs. As Andy Harney points out, the number on the county website arbitrarily excludes many ADUs given a different classification but that are ADUs. While 473 is over 3.5 times the figure given by Hans, the 1268 identified by Harney is over 9.5 times Hans’s inaccurate numbers. I don’t why Hans ended up inadvertently using incredibly outdated information – there were far more than 133 ADUs even in 2012. But the existence of nearly 10 times more ADUs than he claims exists would seem to be an important difference to many, though reasonable people can disagree on this as on so many issues. Moreover, I have had both detractors and supporters of ADUs point out that the count excludes many illegal or unregistered ADUs. As a result, the legal ADU count greatly underestimates the number of ADUs in reality. The unknown true number is well off from Hans’s erroneous representation. ADU supporters hope that Hans’s legislation will make it easier to legalize illegal units. While perhaps so in some cases, I’d hope that units that, say, don’t meet the fire code would not be legalized. Either way, the presence of many illegal units reinforces the truth of claims regarding the total inability or unwillingness of the County to enforce its laws. Progressive Legislation on Cell-Phone Towers a Casualty of Lisanti’s Fall? Del. Mary Ann Lisanti’s (D-Harford) pariah status within the House of Delegates may have the important side effect of aiding cell-phone company efforts to get a favored bill passed. Expansion of 5G networks requires small cell phone towers going into neighborhoods. Del. Dereck Davis (D-Prince George’s), the Chair of the Economic Matter Committee, has sponsored the bill favored by business. Lisanti, who also served on Economic Matters until losing her committee assignments, sponsored the more progressive and neighborhood-oriented bill. One key difference between the bills is that Davis’s would preempt all local laws, while Lisanti’s would grandfather in all existing local laws on the installation of small wireless facilities. Another important difference is that Davis’s bill bans the collection of any fees from wireless providers, but the competing legislation would allow collection of a surcharge of up to 1% of revenues in order to provide wireless to underserved areas around the State. Prior to Lisanti’s censorship by the House for use of a hateful racial epithet, her bill was gaining more traction than Davis’s. While Davis’s bill has no cosponsors, Lisanti’s has 17 with seven sitting on the Economic Matters Committee. While Lisanti’s bill did not have a public majority of the committee yet, her bill presented an unusually strong challenge to the one favored by the Chair. Unless another delegate is willing to take up the lead in fighting for the bill, including facing off against a powerful committee chair, Dereck’s more conservative legislation may prevail thanks to Lisanti’s exclusion. Davis and the cell-phone industry look to notch up a victory as the neighborhood-oriented legislation is collateral damage to Lisanti’s fall. We have researched and found that the property is zoned R-60 for residential use and does not have any type of special use agreement with the Montgomery County Department of Permitting Services, Zoning and Site Plan Division . Therefore we will not reclassify the account as commercial property. 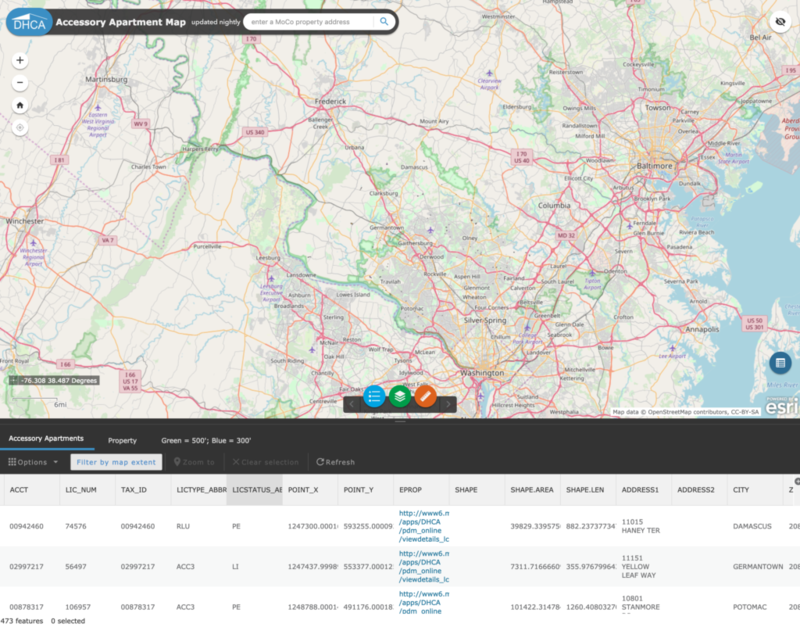 Our records also show that the property is not owner occupied, so there is no further action to be taken by the State of Maryland. The owner doesn’t live there but continues to run a commercial youth hostel out of the house. The lack of commercial classification on the property seems woefully unfair to hotels engaged in the same business–renting out spaces in non-owner occupied structures. 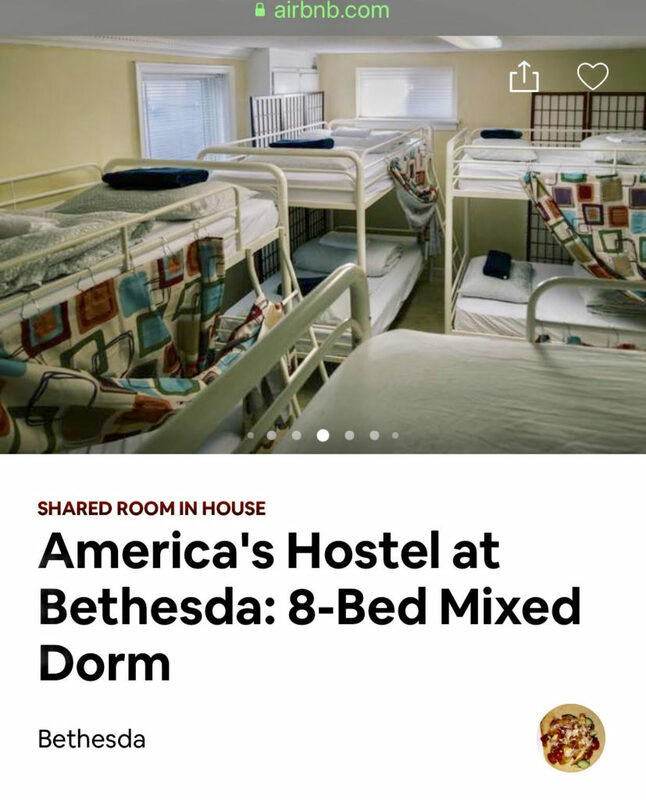 It is also quite different from an owner renting out a room or two in their own home, as AirBnB was originally conceived and presented. In any case, it has been over a year since a county resident made a complaint about this illegal ADU and it’s still going strong. The use is not remotely consistent with the zoning code. Supporters of accessory dwelling units (ADUs) claim that it’s a “myth” that they will be turned into AirBnBs or other short-term rentals. Unfortunately, the law is not always a good guide to what happens. But according to a survey prepared for a 2018 report prepared by the Institute for Sustainable Solutions (ISS) at Portland State University, 31% of ADUs are for short-term housing, defined as stays as less than one month. Only 56% are being used as someone’s primary residence. ISS is staunchly pro-ADU, so it’s hard to throw dirt on the statistics as part of a nefarious anti-ADU plot. While intended as residential dwelling units, many are used as AirBnBs or the equivalent. The survey did not present statistics on what percentage were in compliance with Portland’s permitting requirements for short-term rentals. Councilmember Hans Riemer laudably wants to focus ADUs on housing rather than hotel space. 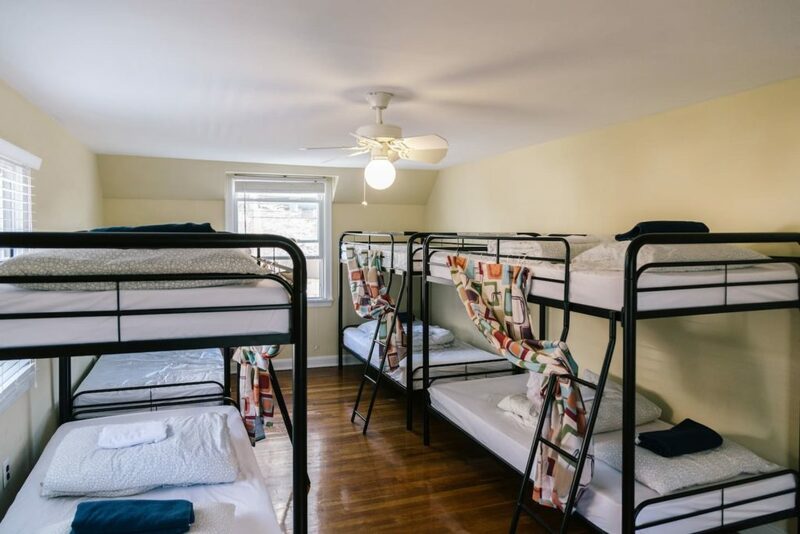 In a recent email blast, he touted “the units could not be used for short-term rentals (i.e., Airbnb)” under his proposed legislation. 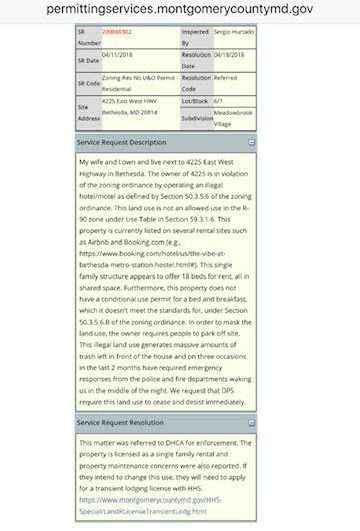 A complaint was filed about this illegal AirBnB with the County last April. The complaint was “resolved” by kicking it over to the Department of Housing and Community Affairs (DHCA). The county database shows no sign of an ongoing investigation. Apparently, they got a license after the complaint was filed but the current usage is not in compliance for these sorts of rentals. One also wonders if the county or the state is even capturing the appropriate tax from this usage since they don’t know it exists despite advertisements on AirBnB. Increasing the burden on county enforcement authorities through the addition of hundreds of ADUs per year seems an unlikely way to solve the problem. As the County fails to keep on top of existing situations with complaints, it’s hard to have faith that a ban on AirBnBs in ADUs will be anything other than totally meaningless. Andy Leon Harney is the Village Manager of Chevy Chase Section 3. At the bottom of the post, you can find her testimony expressing concerns regarding Councilmember Hans Riemer’s efforts to loosen substantially the requirements for accessory dwelling units (ADUs). Harney points out that the spread of impermeable surface due to building can cause storm water drainage problems. This may sound like some minor issue to some on the theory that it all just ends up in the drains but it’s not. When there is less land to absorb water, it has to go somewhere and that place can be your neighbor’s basement. Unfortunately, we had experience with this problem in the Town of Chevy Chase due to people building larger homes and the county laws are very lax and don’t address the problem. We now require that people who add over a certain amount of square footage of impermeable surface must also build a water retention system to keep the water on the property until gradually absorbed into the ground. Proponents of the ADU changes assure us that “most” of the new homes will be small and thus not be a problem. But then why does the new legislation do away with the current limits on ADU size in favor of allowing the ADU to be 50% of the size of the house? Harney also agrees with the county executive that the ADU proposal will not result in affordable housing. Again, if you want affordable, why allow bigger than now? Rents will be driven by the open market in any case and, as Harney points out, someone who just invested in building one will want to get their money back quickly. Finally, and perhaps most importantly, Harney contends that the ADU plan is the thin edge of the wedge in an attack on existing single-family home neighborhoods. While I generally don’t rush to slippery slope arguments, there is some real justification in this case. Beyond my arguments that people will circumvent the law legally or just ignore it due to lack of enforcement, this is a revision to expand ADUs when the previous legislation has just barely been implemented. Councilmember Riemer has long been a proponent of allowing higher density. Many key proponents of this plan would like it just fine if it led to permitting multi-unit developments or apartment buildings in existing neighborhoods. (See Just Up the Pike or Greater Greater Washington for examples.) Residents are not in accord with this vision.